Wolves are ferocious enough creatures that no one wants to meet in real life. 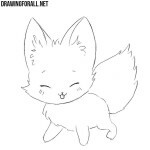 On our website we have already drawn a wolf in a realistic style, but today we want to draw a much different wolf – a small and cute chibi wolf. 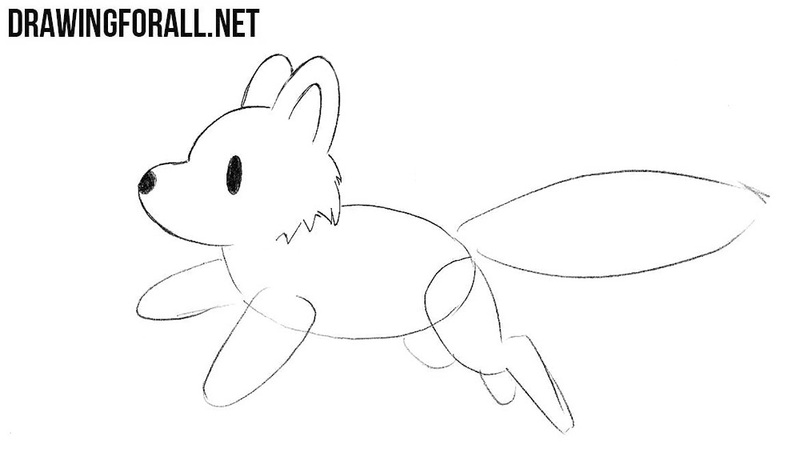 So, let’s begin the lesson about how to draw a chibi wolf. 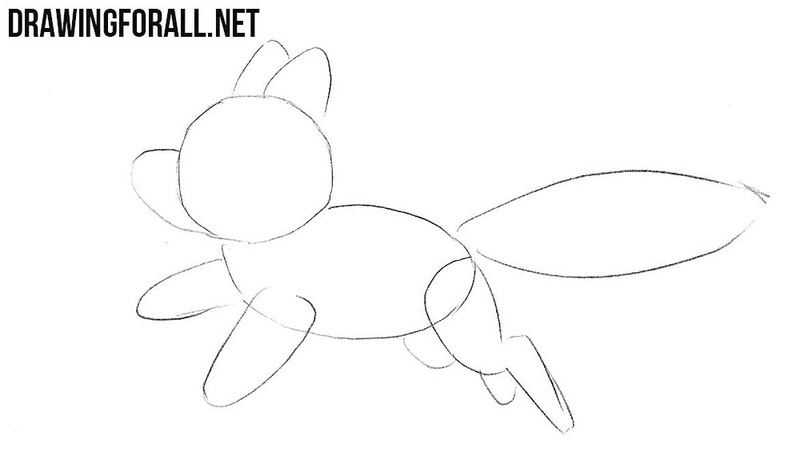 Let’s start with the basic outlines of the body. 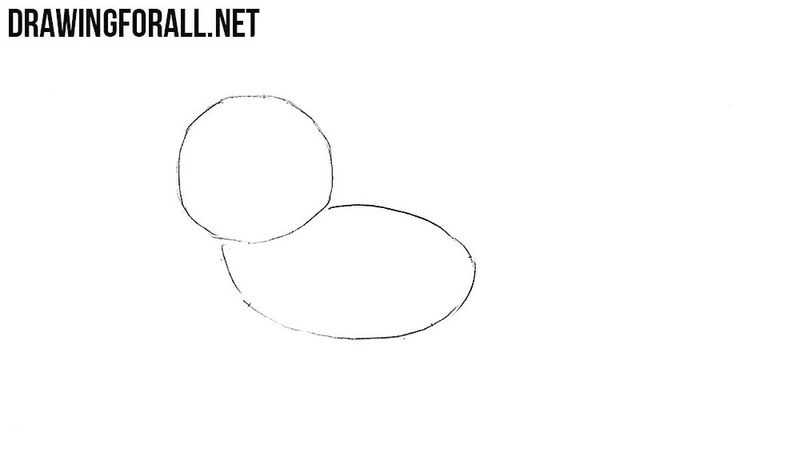 First of all, sketch the outline of the head in the form of a circle and torso in the form of an oval. 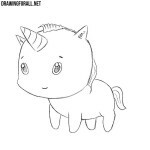 On the head sketch out a muzzle and rounded ears. 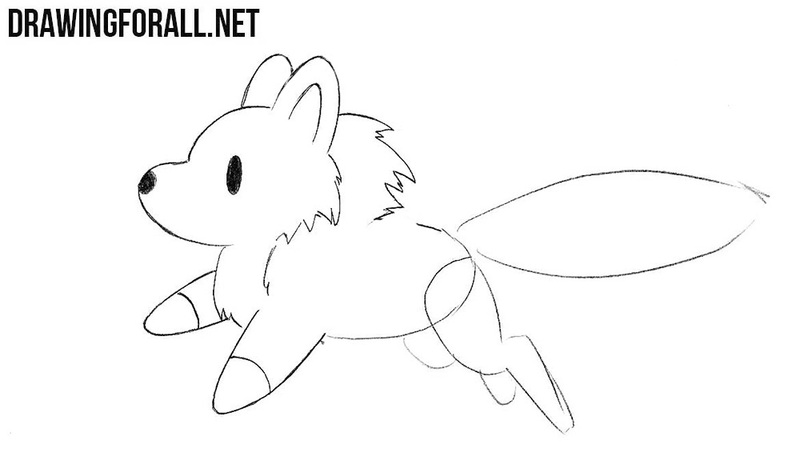 On the body sketch out the rounded paws and no less rounded tail. 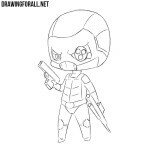 Now with the help of clear and smooth lines draw the outline of the head. Draw the eye and the tip of the nose with the help of thick black dots. We descend slightly below and draw out the chest and rounded paws of our small and sweet chibi wolf. Now let’s move to the back of the body of our chibi wolf. Draw out the contours of the hind limbs and tail. 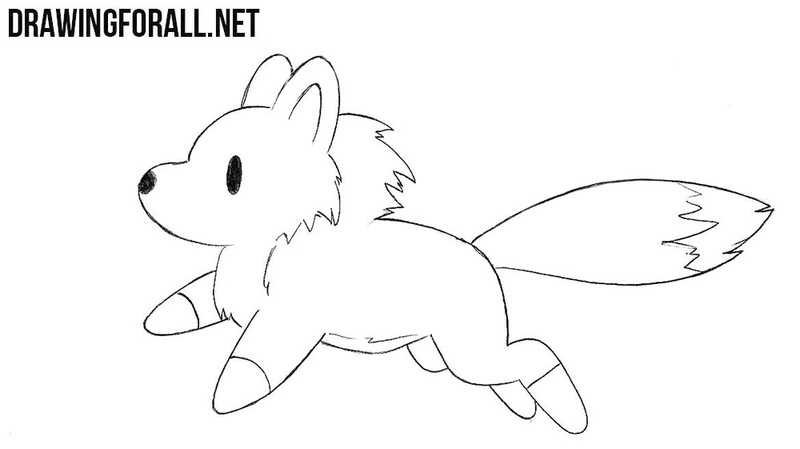 Delete all unnecessary guidelines and the chibi wolf drawing is ready. This lesson was quite simple, as it had very few lines, and all the steps were very short. 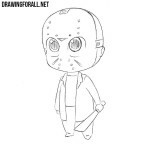 What characters or animals in the chibi style you want to see on the pages of our site. 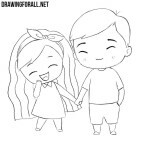 Write to us about this so that we can create an appropriate drawing lesson.